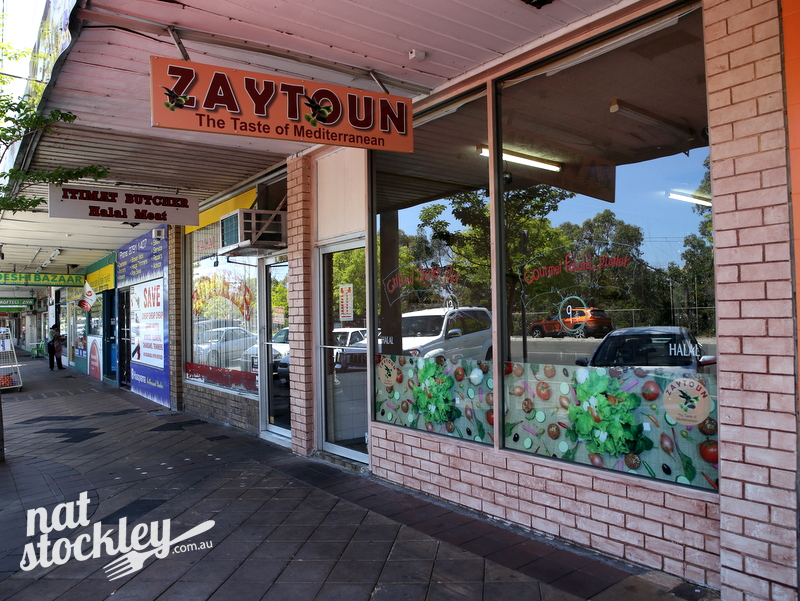 Zaytoun is located amongst a quirky strip of shops on Railway Parade in Noble Park. I’d visited the area once before and was fascinated to find halal butchers, Asian grocers, Indian and Sri Lankan restaurants and a number of Turkish businesses including a grocer, baker & kebab shop. Zaytoun, which is Arabic for olive tree adds to the diverse mix of the area with its Middle Eastern menu. 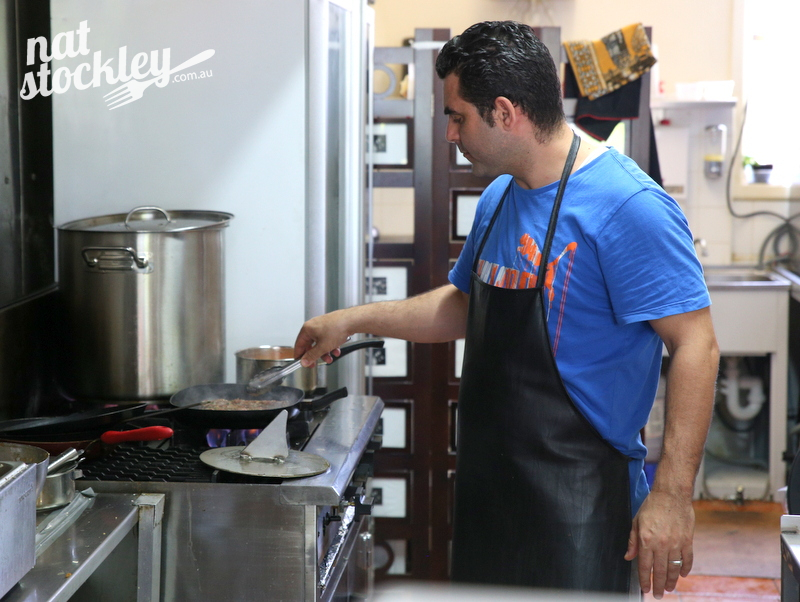 Chef & owner Mohammad Jordy has cooked in a number of large hotels throughout the Middle East (Lebanon, Palestine & Jordan) and more recently at a resort in New Zealand. He arrived in Australia early in 2015 and after a brief stint working for a venue at Docklands figured it was time to do his own thing. Jordy explains that the location was in need of a good spruce up when he signed the lease and whilst the venue is still somewhat outmoded, he’s managed to add a few simple embellishments in order to make the space his own. 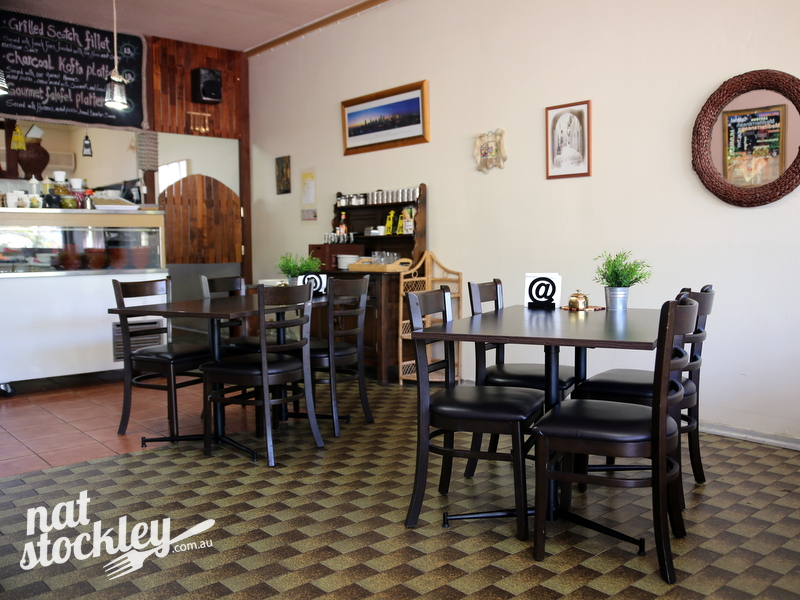 There’s seating for around 20 diners and take away is also popular. I’ve long been a believer that less is more when it comes to menus, so I’m pleased to see the repertoire at Zaytoun is kept brief. 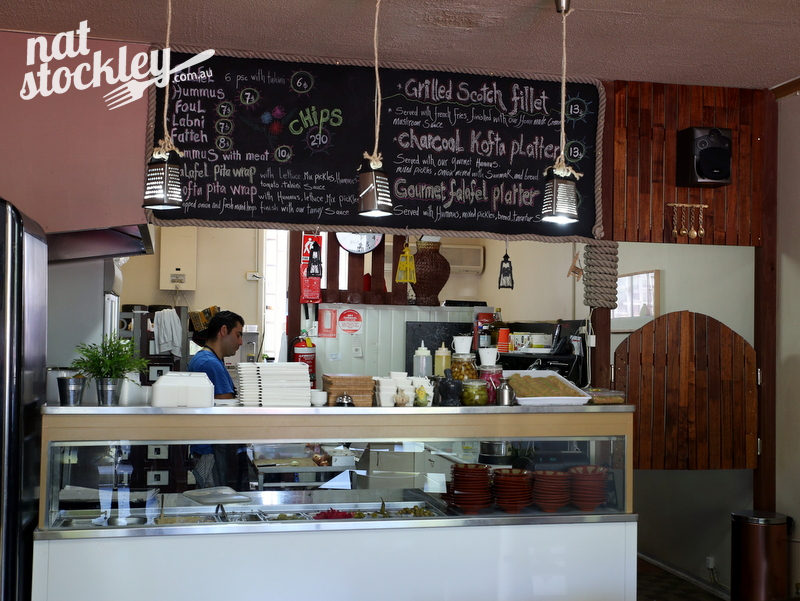 In terms of traditional dishes, the menu lists hummus, foul, labni, fatteh, falafel & kofta. My charcoal kofta platter arrives at the table with hummus, mixed pickles, olives, onions speckled with sumac and plenty of pita bread. The presentation is fabulous and there are little flourishes that highlight Jordy’s previous involvement in big hotel kitchens. 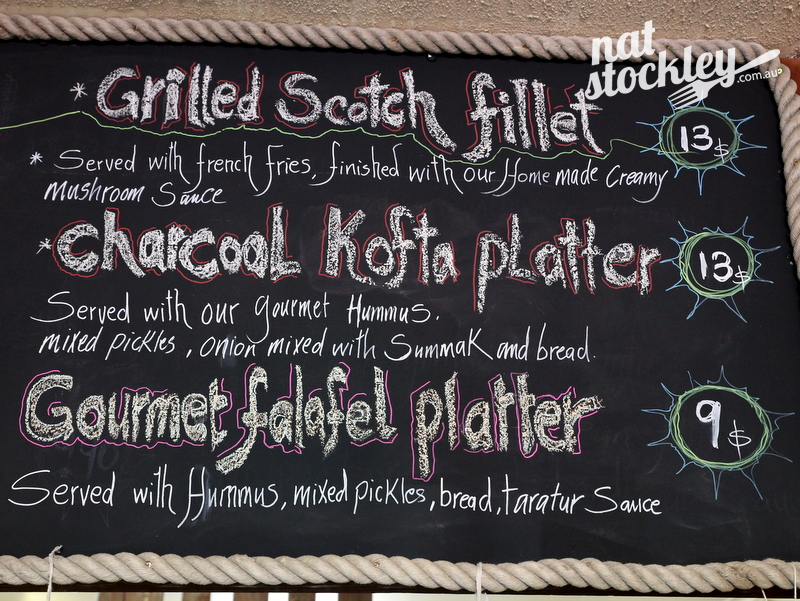 At $13, the kofta platter is astounding value. The gourmet falafel platter is served with hummus, mixed pickles, taratur (tahini) sauce and pita bread. I do my best to demolish it all, but eventually hoist the white flag and request a doggie bag. 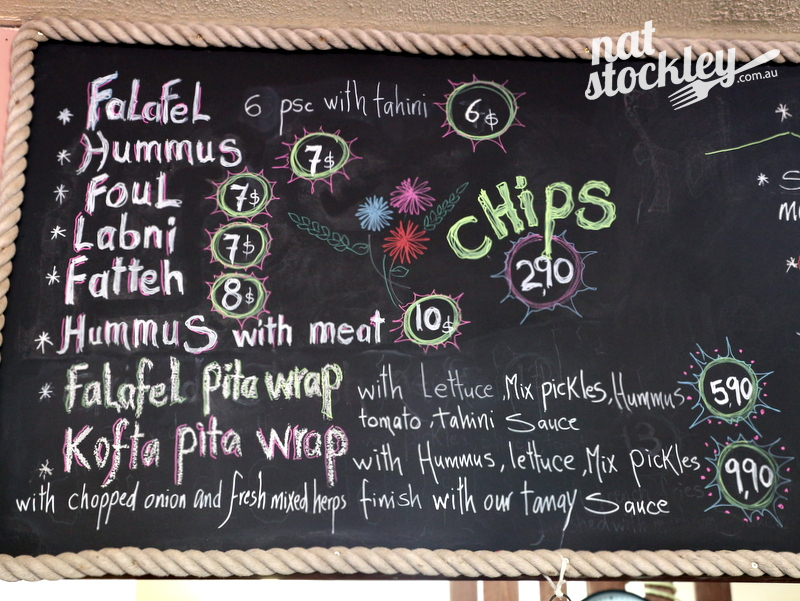 If the platters are too elaborate or you need to eat & run, there’s a falafel pita wrap for just $5.90 or a kofta pita wrap at a very reasonable $9.90. I was somewhat staggered to see that the menu also listed a grilled scotch fillet steak served with French fries and house made mushroom sauce for $13. Whilst I kept to the more traditional dishes on my first visit, a couple of regular diners were raving about the quality of the steak and imploring me to come back and try one for myself. That’s one challenge I’d be happy to accept. 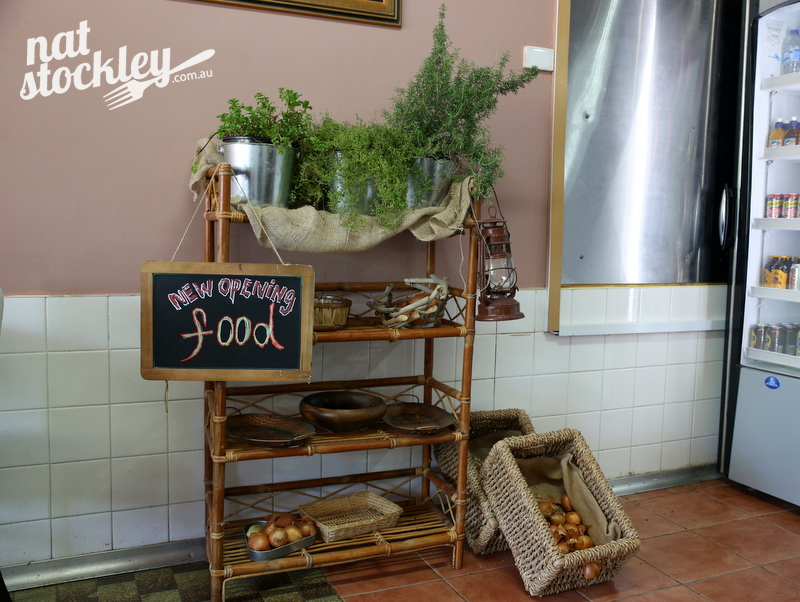 As I’m preparing to leave, Jordy points out a bamboo stand in the dining area where he’s growing mint, thyme & rosemary. He explains how the inspiration for the stand is his grandmother who retained a similar set up. It’s a lovely dedication and very practical too.